INDUSTRY.co.id - Denpasar - The Ministry of Tourism (Kemenpar) expects marketing and sales personnel in the field of hospitality to give innovation to market Indonesian tourism, thus attracting foreign tourists in the middle of digitalization era. 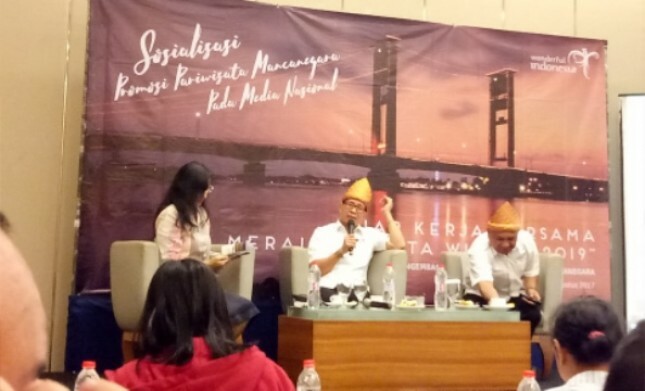 "In the transformation towards digital, the conventional way is still very important," said Deputy of Tourism Development and International Marketing Kemenpar I Gde Pitana after becoming a speaker at a meeting of marketing and sales profession or "Sales and Marketing Summit 2017" in Denpasar yesterday. According to Pitana, a breakthrough with digitization in promotions is a necessity in today's millenial era that is fast and practical. But digitizing in marketing and sales, he said, is not the only way because marketing, especially tourism and hospitality, requires communication and an intensive approach to seize the market. The massive development of information technology has also spawned new containers in hotel room booking systems through in-network travel agents or online travel agents (OTAs) that are now emerging. Its practical, quick and easy to make a new container that many hunted tourists who will visit a tourist destination. "An online travel agent is something that can not be denied because it gives many benefits to customers because it is cheaper, convenient and easy to track if anything happens," Pitana added. He hopes that the way should be set in clear rules, especially with regard to permits, taxes and controls so that the OTA also contributes to state revenues. Pitana became one of the speakers in the first meeting of sales and marketing personnel of hotel in Indonesia which was held by the Profession Marketing and Sales Community in Bali (Bascomm). He expects the government to get input from the meeting because it is voiced directly by the perpetrators in the field. Similarly, Bascomm expects input in the development of marketing and sales in the hospitality sector. Bascomm Gufron advisors as reported by Antara said it should adjust to the development of the current era that is not behind the use of technology such as through social media to do marketing. The market shift from conventional way to "online", especially in terms of hotel room reservation is currently considered to be a vibrant trend that is inseparable from the character of tourists. "We can not avoid the new challenges, and the technology and the system must be followed by only if the system exists, only the system changes, the rest does not matter," he said.